Harker said it best, "Happy Birthday Mommy, I'm so sorry!" Continue reading The Big 30!. Hyrum is a year old! I can hardly believe it, my baby is a baby no more. Continue reading The Big ONE!. Ten is a big birthday for an Army brat--it means Dunn gets his very own ID card. For that reason, I remember turning ten very well. 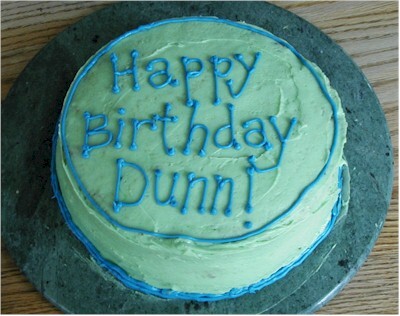 Rachel made the cake to Dunn's exact specifications, with a little help from our neighbor and friend Liz Nielson. Continue reading A Decade with Dunn. This page is a archive of entries in the Photographs category from March 2004. Photographs: February 2004 is the previous archive. Photographs: April 2004 is the next archive.